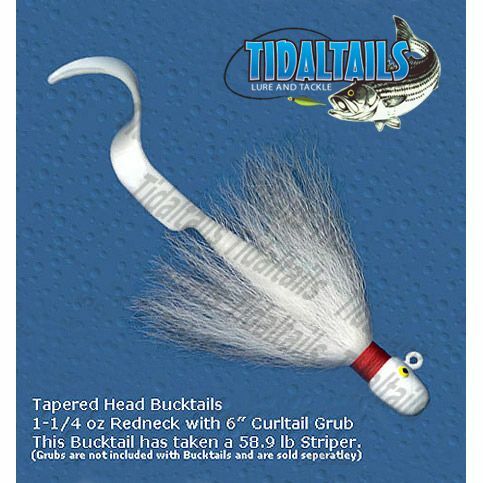 The Taperedhead style is an awesome all around bucktail which can be used for most angling conditions. Flared collars for a fuller bucktail, which keeps the lure up in the water column longer. Great action especially when the hook is dressed with you favorite trailer bait or grub. ** Note: Image shows bucktail with a 6" curl tail grub. Grub is NOT included.